Broken bones happen, and when they do people of all ages are forced to tote around casts until the injury heals. At first, casts can be fun. People sign them, you get sympathy, and they're great defense mechanisms that are always there when you need them. But after a while they get grungy, and one company is ready to ensure that's a solvable problem. Casttoo knows that eventually there's such thing as too many signatures or too much grunge on a well-worn cast. 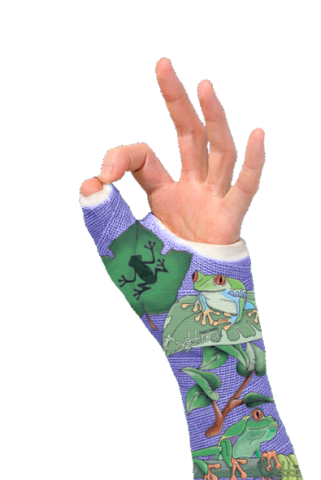 Casttoos are essentially tattoos for a cast and they fit over it like a skin. Each of them are individually designed based on the wearer's personal selections, so they're one of a kind and personal. Health related products make up a huge industry, and Casttoo has found one unique niche within it! Tylenol Appears To Protect Your Prostate, But What About Your Liver? Meet Quirky’s 5 Newest Inventors!